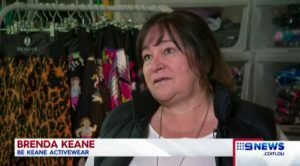 After struggling to find plus size activewear for years, a Melbourne mum has come up with her own range to inspire curvier women to hit the gym. It’s the motivation many need – – with figures revealing more than 40 percent of women feel embarrassed to exercise in public. Madeline Slattery has more.